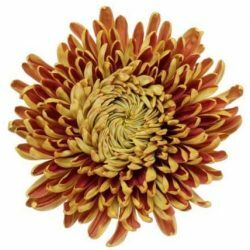 Chrysanthemum flower, from the Greek prefixes “chrys” which means golden and “anthem-ion” meaning flower is how the name of this flower originated. 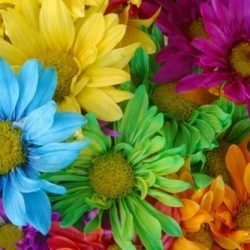 Chrysanthemum Flowers are the ‘in’ flowers used in floral arrangements. Affordable and suitable for weddings and special events, offering a wide range of shapes, sizes and colors. 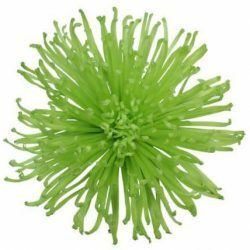 You will find plenty of uses for them in bouquets, centerpieces and other floral designs. 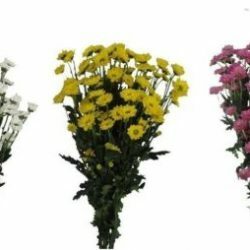 The Chrysanthemums may be combined with other flowers to offer a plethora of colors to match any special occasion decor. 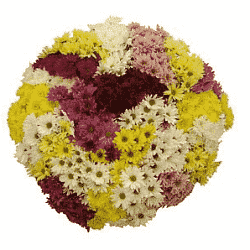 The Chrysanthemums generally symbolize longevity, fidelity, joy and optimism. Various colors symbolize other important meanings as well. Red chrysanthemums symbolize love and deep passion. 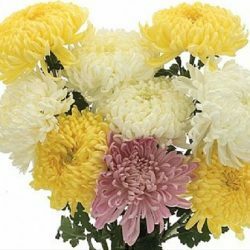 Yellow chrysanthemums symbolize neglected love or sorrow. 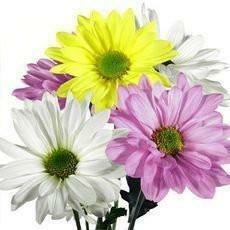 White chrysanthemums symbolize loyalty and honesty. 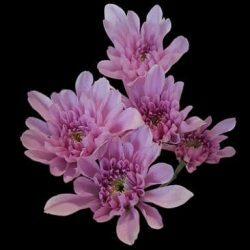 Violet chrysanthemums symbolize a wish to get well. 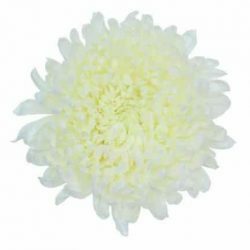 Buy Chrysanthemum flower in bulk to decorate for a wedding and special occasion.